What gold coins should you invest in? Where can you buy Sovereigns, Half Sovereigns, and Gold Britannia Coins? Why invest in Gold sovereigns? Gold is an alternative investment that is often overlooked by UK investors, as many see it as inaccessible. Partly this is because of the high relative price and the fact that it is quoted in US dollars. The price of gold is stated per troy ounce (about 31.1 grams). For UK investors used to dealing in Sterling, there is also the risk and cost of trading in a foreign currency. Buying gold online is growing in popularity due to the speed and efficiency with which an order can be executed and today anyone can own gold bullion and store it at home or in a dealer’s vault. Buying gold bullion has never been easier, and this ease of purchase is predominantly because of the internet. Now at the click of a mouse button you can be the owner of almost any amount of gold. Your gold can either be delivered to your home, or be stored by the dealer in their vault. For those looking to make such an investment for the first time, purchasing gold online can be a daunting prospect. 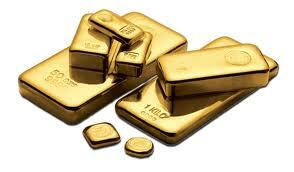 There are many online gold dealers, and each has its own trading system and set of services offered. But in general they operate in the same way. Some online dealers will store the gold that you buy for you, negating the necessity to have your own storage facility and saving you the cost of storage. However, we’ll concentrate on the dealers that offer ownership of physical gold. Just like stock brokers, gold dealers offer different services to their clients. Some might offer research or technical price analysis, others an ‘execution only’ facility. Some will trade in bullion and coins, whilst others concentrate on one or the other. There are online dealers that offer an array of different products, and others that have a limited catalogue from which to choose. Some dealers will deal in different currencies, others only in dollars. Consider the price at which the dealer sells gold. All dealers will add on a premium to the cash price of gold traded on the metals markets. A dealer with high overheads will need to charge a higher premium, and this will impact your investment profit. Once you have found a dealer that offers the products you want at a price you like, then you will need to open an account before making your purchase. Many online dealers have online verification checks that mean you can open your account in a matter of minutes. Most online dealers have a ‘point and click’ system. You choose your product, select the size that you want to deal, and click the purchase button. Providing your account or credit/ debit card has an appropriate balance, your order will be filled. If you are using a dealer that delivers your physical gold, the gold that you have bought will be mailed to the postal address that you gave upon opening your account, using either a courier delivery service or a registered postal service. This postage cost will be added to the cost of your gold at the point of sale. Beware of Costs – the beauty of buying online is that you usually save money by doing so. Products are cheaper online, and that includes gold. However, just like certain airlines, some online brokers make their gold look cheaper only to add on extra charges at the end of the order process. You should be wary of such unscrupulous practice, as fees such as shipping charges, handling and administration expenses, card processing fees, etc can push up the price of your purchase by quite some amount. Whoever you choose to buy gold through online, ensuring that you conduct due diligence and pick a reputable company will ensure that your online gold buying experience is as good as any you’ll find on the high street, the only disadvantage being that you won’t be able to see and feel your gold before you part with your cash. Our editors and in-house staff have written a number of useful guides and articles for first-time gold buyers. Take a look at some of them here. As well as diversifying your investments, gold is a great store of value. When inflation is higher than the interest rate you can get on your cash in a bank, your money loses purchasing power over time. In other words, it loses value. Gold is used by Central Banks and Institutional investors to keep the value of their money. Gold is also a finite resource and as such, whilst the short term price might fluctuate, the long term price is likely to trend higher (just like oil). To the frustration of money market investors, today’s low growth environment significantly dampens returns on equities. For this reason, many are turning to alternative asset classes in order to combat record-low interest rates and soaring rates of inflation. Amongst these alternative investments, gold has long been heralded as a star performer. Because gold behaves very differently to equities, it has a strong track record as a long-term hedge against inflation. Like all finite resources produced in small quantities, gold will always find a willing buyer. In fact, when investors jaded with the stock exchange scramble to acquire real assets (i.e. tangible entities with intrinsic value), the value of gold is driven even higher. Little surprise, then, that in recent years we have seen a wave of gold buying companies hoping to cash in on broken and unwanted jewellery. A case study by DGC Asset Management showed that a £100,000 portfolio exposed only to developed market (DM) equities, equally weighted between the FTSE All Share Index and S&P 500 Index, delivered a nominal compound annual growth rate (CAGR) of just 0.2% between 2000 and 2013. When the portfolio value is adjusted for inflation, this actually tips over into a real annual loss of -2.7%, or a loss of £29,896.78 (29.9%) in real terms. Fortunately for investors, research shows a direct correlation between gold investment and the overall performance of a portfolio. In the case study above, diversifying an equity portfolio by as little as 20% gold bullion was enough to beat inflation and deliver a modest return of 0.4%, or £4,924.93 in real terms. At a weighting of 30% gold bullion to 70% equities, the portfolio delivered a nominal annual growth of 4.9%, and a real return of 1.9%. This portfolio would now be worth around 81% more in real terms (inflation adjusted) than the straight equity portfolio. The trend we are seeing with gold is mirrored across other real asset classes. A recent report on real assets showed that, over the past decade, investments in UK Farmland have returned 10%, UK Forestry 10.4% and Fine Wine 11.7%, each outpacing FTSE 100, which trailed behind with returns of 0.7%. Nevertheless, these real asset classes could not compete with gold returns of 18.7% over the same period. Overall, research suggests that diversifying with gold allows you to fortify your portfolio against tough investment conditions. An investment of just 20% gold is enough to nudge losses into returns. You can invest in gold in a number of ways. Whatever your investment amount, or preference for style of holding gold, the investment markets have a method that will suit you and help you profit from the yellow metal. The value of a coin is dictated by factors like rarity and condition that will have a greater effect on price than gold content. Many of the world’s mints produce hold collector coins, which would be sold at a higher premium than rounds or bars (see below). You can buy coins at auction, from mints or accredited dealers, or high street dealers. You can even buy them at online auction houses such as eBay, though extra care must be taken here to avoid counterfeiters. Rounds, on the other hand, are valued as to their gold content. They are, effectively, coin shaped ingots. Rounds are available from private mints or online dealers. A traditional way of investing in gold, bars are easily stored because of their shape and now come in a range of sizes to suit most investors. Increasingly they are bought online, and bullion bars can be held in safe custody by many large dealers at secure vaults (often in London or Zurich). This negates the need for self-storage expenses. Investors can take a view on the price of gold by buying shares of companies that mine gold. Often these companies will mine other metals and minerals also, so this isn’t a pure play on the price of gold. Investors should also note that other factors, such as employment costs, and taxes, will affect the share price of such companies as well as the price of gold. One of the attractions of investing in the shares of gold mining companies is that they often trade at a large discount to the relative price of gold. Shares can be bought through a broker, or online trading facility. Exchange Traded Funds offer investors a way to trade with the simplicity of buying shares, but the advantage of a direct investment in gold. They are flexible, bought and sold through a broker or online trading facility just like company shares, and can be based on gold itself, or mining companies, and can be used to speculate on the price of gold or hedge against an existing position. Whatever your investment preference, your profit will be determined not just by the purchase and sale price, but also by costs and taxes. Costs to factor into your calculations would include dealing charges (eg broker fees), mailing costs (if dealing in physical gold online, for example), and storage fees (levied by banks for deposit boxes or dealers that store your gold for you). Taxes that might affect your final return vary from country to country, but might include VAT, income taxes, and capital gains tax. Overall gold is still an underused investment that offers a great way to diversify a portfolio and an excellent hedge against inflation. Whether you decide to invest in physical or non-physical gold, or in turn diversify your gold holdings, is a matter of personal choice. Whichever you choose, investment in gold could bring an extra shine to your financial future. To buy and sell gold, it’s important to have access to a dealer that is right for you. There are many different criteria to use when selecting your broker, and the importance placed on each will depend upon your individual circumstances. For example, do you want a wide range of products, or are you only concerned about trading bullion at the best possible price? Will you require physical delivery of your gold, or do you prefer to store in an allocated account for ease and convenience? There are so many gold dealers available on the high street that it would be impossible to review every single one, and if buying or selling gold through an individual behind a counter is what your circumstances desire, then we would recommend you conduct your own research into your local brokers before doing so. Here we look at some of the options open to you in today’s market for those investors wishing to trade online. Some of these dealers have been established for a long time, whilst others have risen up the ranks in a relatively short period. There are several dealers who offer a range of products. Tax Free Gold offer a wide range, from bars, coins from around the world, and CGT free products, as do Bullion By Post. The largest range of products, though, is offered by the oldest established firm that we looked at, Baird and Co, who extend their products out to include rings and certain jewellery. Meanwhile, the narrowest ranges are offered by BullionVault and GoldMoney, both relatively new dealers who deal exclusively in gold bullion investment. Tax Free Gold allows customers into its premises in Blackpool during business hours of 10am to 5pm, but only by appointment. Registered users of its site have the same business hours in which to conduct any buying and selling of gold. Baird and Co offer similar trading hours, whilst BullionVault and GoldMoney operate 24 hours per day. Whilst margins on gold are only part of the pricing conundrum, they are a major part. Some dealers make their margins known in an open manner, whilst others hide behind the spread of price. For example, on the day we compared gold prices, we looked at the £ price of a gram of gold. GoldMoney were offering a gram at £34.60, £20 cheaper than Tax Free Gold, the most expensive at £54. In fact Tax Free Gold’s premiums are up to 50% on smaller gold purchases. However, GoldMoney does allow dealing in nine currencies, where most others only allow a maximum of three currencies (Sterling, Dollars, and Euros). Bullion By Post’s cost on a 1 gram was a middle of the road £43. BullionVault allows customers to interact on its screen dealing system, and this brings spreads seriously lower. In fact, the average spread on the screen for its bullion gold was just $5 between bid and offer, or 0.15% either side of the spot price of gold. For those that want gold delivered for self-storage, Bullion By Post offer next day delivery at no cost within the UK. That’s an unbeatable offer. Tax Free Gold offers delivery at £8, while Baird and Co’s charges range between £7.50 and £25 depending upon the amount of gold bought. BullionVault and GoldMoney will deliver gold, but both aim their offerings at those investors who wish to store their gold with the dealer. Most of the dealers discussed offer allocated accounts – where gold is kept in safe storage in named accounts – though fee levels differ markedly. Baird and Co offer an allocated account with what it terms a ‘small charge’. This charge works out at £60 per kilo per annum, with a minimum of £175 per annum. Compare that with the 0.18% per annum charge levied by GoldMoney and it works out about the same, though the minimum rate with GoldMoney is only around £64. As a kilo of gold currently costs around £34,000, then for smaller investors GoldMoney is the cheaper option. The cheapest allocated account, however, is found at BullionVault, which has a charge of 0.12% per annum, with a minimum of $4 (around £2.50) per month. The quality of websites varies considerably. The Tax Free Gold site has a huge amount of information about individual products, the gold market, and gold history, but is difficult to navigate and looks almost as if it has been printed on an exercise book. Baird and Co’s site is more upmarket, with a black background and a simple navigation bar. The information about the company and its products is easy to get to, and is written in plain English. It is a site that will appeal to many, but particularly customers of a certain age. GoldMoney is a site made for easy purchase of investment gold. Prices can be easily displayed in the currency of choice, and one-click dealing allows almost immediate dealing into your account. Sales of gold, however, have to be made from your account screen. BullionVault’s site and dealing screen is made for those that actively deal in gold. Not only can a one-click trade be executed, but dealers can actively participate in forming the price by entering buy and sell orders, too. This is the reason that margins are so low at the company. The screen makes you feel like you are part of the market itself, with price changes occurring real time. There are pros and cons to all the dealers that we have looked at here. If you want to choose a dealer with the longest track record and a wide range of products, then Baird and Co might be favourite. At the other end of the scale, if you want the excitement of entering your own orders in an active gold market with very low storage costs, then you might decide to open an account with BullionVault. We’ve only discussed a few of the factors that might help make your mind up. Service levels, online help, and speed of payment might be other things you want to consider before taking the plunge. During the course of your own research into the gold dealers that would you’re your investment style best, remember this: they want your business. Why not open an account – free and with no need to fund – and start your research by gaining full access to each dealer’s offering, without obligation? Bullion is a standard form of gold, with a recognised purity and weight. It can be bought as bullion bars or bullion coins, though the purchaser will pay a small premium over the cash price of gold on the international gold markets. Gold bullion bars are the most common way of investing in bullion, and the standard investment size bar is the London Good Delivery (LGD) bar. These are the bars that most people associate with gold investment: the ones that are kept in vaults at places like Fort Knox and immortalised in films such as The Italian Job and Goldfinger. At around 400 troy ounces of gold, however, LGD bars are a little out of the reach of the smaller, private investor. So to cater to this demand, there are smaller standard bars of 99.5% pure gold. These come in sizes ranging from 1 ounce to 100 ounces. A note to beginners – bullion coins and bars are produced for their gold content alone, and do not have any real value over and above this. Collectible gold coins, on the other hand, will be valued according to factors such as rarity and condition as well as weight and purity of gold. All bullion bars come stamped with a serial number, the mark of the refiner, confirmation of purity, and commonly the year of manufacture. Often a certificate confirming these details will accompany the gold bullion. Investors should never buy bullion bars that do not conform to these basic standards. Bars and coins are now available from a wide range of outlets. Increasingly over the last few years, bars have been produced to be sold by banks for investment purposes. The London Bullion Market Association produces a list of accredited gold bar manufacturers’ names those producers whose bars are recognised as being produced to investment grade standard. An investor can buy gold in the form of bullion from national mints, accredited dealers of national mints, or international gold dealers. Increasingly, these international gold dealers are to be found online, and part of the explosion in the gold market has been encouraged by the new accessibility to gold that the internet has fostered. 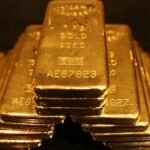 A warning – Many investors also now buy gold from auction sites such as eBay. However, whilst the premium to do so may be temptingly small, buying from sellers on such sites requires extra caution. There are many counterfeiters who use the web to sell gold that falls short of investment grade – perhaps not even gold at all – and then disappear when the sale proceeds have been banked. As with any big ticket purchase, it is important to ensure that you select the right source of your gold. You should always make sure that the dealer or broker you use has a good reputation. The World Gold Council produces a list of gold dealers in over 25 countries that might help you to choose a dealer. This list is customisable, and the results are viewable as you drill down using selection criteria that includes the country where you wish to purchase, the type of gold you want to invest in and the services that the dealer provides. Importantly, these dealers have not paid to be included on the list, though they do have to pass an application process. Similarly, if you wish to deal online and internationally, then the selection criteria will be almost identical. Of course cost is a factor – particularly premiums charged and postage if accepting physical delivery – but other areas to bear in mind is the level of service you require and the product range available. Does the dealer offer the bullion product you want? Does he offer delivery and/ or storage facilities? What about insurance, and customer service facilities? You should make a list of what you want your broker/ dealer to offer, and then research accordingly. If you buy gold bullion and accept delivery, then you will need to store that gold. This might be in the home, in a safe for example, or in the vault or safety deposit box of a bank or dedicated gold storage facility. Storing your gold incurs costs that need to be considered. There will be the cost of the safe, and installation, and then there’s insurance to think about. There will also be transportation or postage costs upon purchase and sale. If you use a safety deposit box, then you’ll be subject to transportation costs and the risk of transporting your gold (theft or loss), as well as a rental fee perhaps in the hundreds each year. As can be seen, there are many problems associated with taking physical delivery of gold and then self–storage. This is why buyers are increasingly using dealers that offer their own storage facilities, which are often cheaper than available to a retail investor because such dealers pass on to their customers the institutional storage rates that they pay. For the investor who wishes to buy through a dealer that stores his gold for him, such dealers offer two types of account. The first of these is the unallocated account. Within this category there are two sub-categories, one where the gold you have bought is pooled with the gold of other investors. In such an account the investment is backed by the physical gold, though that gold is not held in the investor’s name but rather for ‘his benefit’, but he will be charged storage costs. The other type of unallocated account allows the dealer to use the gold for other purposes, such as lending to gold bar manufacturers. It would not be typical practice to be charged for storage in such an account as this. Then there is the allocated account, where the gold the investor has bought is held separately and in his name. He will have the gold certificated number, serial number, weight and purity assigned to his account. If an investor were to visit the storage facility and held this type of account, he could walk up to the dealer’s gold and pick out his actual bullion bar. Storage would be charged, and may be a little higher than for unallocated account holders, but still cheaper than the charges levied by a bank for a single account holder. When it comes to selling, an investor has to remember that to do so will also incur charges. The price received will suffer a discount from the cash gold price, in the same way that he was charged a premium when he first bought his gold. Then there will be postage or transportation costs, and perhaps even other brokerage fees. The investor who has bought online through a recognised and reputable dealer, and then has used its storage facilities, will usually find that selling his gold is as easy as buying in the first instance. There will still be a discount to the cash price, but there will not be physical delivery charges to pay and storage costs disappear when the gold is sold. Whatever your preference for gold bullion investment, whether coins or bars, whether direct dealership, remote, or online, the most important thing to remember is to research the prospective dealer thoroughly before making your final decision. Making a list of your selection criteria will help in this process, as will internet searches and speaking to other investors and even the dealers themselves. Being aware of the problems and costs involved with bullion purchase, storage, and sale will also focus your mind. This will ensure that you are not only aware of the real costs of investing in bullion, but also the profit potential. Remember to make sure your bars are the genuine article, with all the necessary stamped markings, and keep all certification documentation. Just like antiques or memorabilia is easier to sell with provenance, so too is gold. Going through this whole process in a structured manner will help you to select the right investment for you, and the dealer best positioned to work with. And as the relationship with your dealer is likely to be a long one, the importance of this cannot be underestimated. Many investors in gold choose coins. The reasons for doing so range from investing for the exposure to the price of gold to collecting purely for aesthetic quality; in other words, investment is a choice between bullion coins and numismatic coins. Bullion coin investors would argue that numismatic coins are less of an investment into gold than into the coin itself, as the value of such collectors coins are based more upon the quality, rarity and history of the coin than its gold value. It is true that the value of bullion coins is based upon the gold content, but they will also be affected by the quality, for the determination of which there are grading scales. Whilst numismatic coins are a valid investment option and bullion gives a direct exposure to the gold price, for those investors that want the best of both worlds, then certain gold coins may satisfy that need. There are many manufacturers of gold coins, including private mints such as The Franklin Mint that produce special collector coins and medals. However, such private companies tend to produce coins from lower grade gold, or from alloys or material mixes, or perhaps gilded coins. The price history of such products does not make good reading, and so serious investors tend to invest in coins that are produced by national mints. Such coins include the Royal Canadian Mint’s Maple Leaf, the US Mint’s Buffalo Gold Bullion Coins and American Eagles, and the Kangaroo Gold Coin series from the Perth Mint. One of the most popular gold coins is the Krugerrand, produced by the South African Mint in large numbers and sold at a small premium over the spot gold price. All of these coins give direct exposure to gold, but for UK investors perhaps the best choice are the gold coins produced by the Royal Mint. The Royal Mint gold coins – the Gold Sovereign, Half Sovereign, and Gold Britannia Coins – are particularly relevant for today’s UK resident investor because any gains made from buying and selling them are exempted from capital gains tax. Apart from the CGT benefit, the Royal Mint produces its coins for special occasions, such as the Queen’s Diamond Jubilee, for example, and also mint in a variety of sizes. These coins gain their CGT exempt status because they are classed as legal tender, though you probably wouldn’t want to spend a 2012 Sovereign Brilliant Uncirculated £5 Gold coin in your local corner shop: the legal tender value is, as implied by the name, £5, but the cost to buy from the Royal Mint is around £2400. These minted coins are produced in limited numbers, which helps to keep values high, and the Royal Mint has been producing sovereigns for hundreds of years. It is reckoned, however, that less than one per cent of historic gold sovereigns are in an uncirculated condition, so if you are the lucky owner of one of those then you will have something very valuable indeed. Another attraction for the small investor is that such coins are available in different sizes, and so investment can be made with just a few hundred pounds. They are easily stored and great conversation pieces. And finally, they are not only exempt from CGT, they are also exempt from VAT. New gold sovereigns can be bought direct from the Royal Mint, and this is probably the best way of doing so. 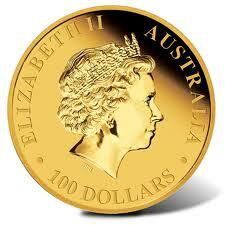 However, gold dealers will try to buy such coins and then offer for sale direct to the public. In such instances the normal rules of buying coins should be observed: do your research and trade with a dealer who has a good reputation, and don’t be afraid to shop around. Older sovereigns tend to trade relatively close to bullion value, and many dealers, such as bullionbypost.co.uk, will give a discount for volume orders. Other dealers that will buy and sell these CGT free coins include goldinvestments.co.uk, Allgoldcoins.co.uk, GoldMadeSimple.com, and Chards.co.uk. An investment in a gold sovereign, half sovereign, or gold Britannia coin, is an investment in not only gold, but the history of Britain. It is an investment that offers the best of both worlds: direct exposure to the spot gold price, but at the same time a numismatic collectible. In this way, it gives you a double chance for profit over the long term. Even though these coins are minted in limited quantities (some would argue because of), the demand for them is mostly high and so you will be buying gold in a liquid market. This means that your coin should be easily sold at a good price when you wish to sell. Part of the reason for this liquidity is that there is no VAT to pay on purchase, but more importantly no CGT liability on sale. This means that investors can maximise gains through diversifying their gold holdings into Royal Minty Sovereigns, and avoid tax of up to 40% on gains over the CGT allowance (which in 2012/ 13 was only £10,100). Finally, they are small and easily stored, unlike some other alternative investments. For the UK investor who wishes to own physical gold, a collection of gold sovereigns should form a part of his portfolio. Most trading in physical gold is conducted in gold bullion. The three major centres of physical gold trading are London, New York, and Zurich. The gold market in New York, like London, is also a large centre of gold derivatives trading. The New York gold market, Comex (part of the New York Mercantile Exchange) opened in 1974, 55 years after the London Metals Exchange. There are, of course, many other gold markets around the world, including Tokyo, Hong Kong, and Dubai. Australia, too, being one of the largest gold producing countries in the world, has its own gold market in Sydney. What this all adds up to is 24 hour trading of physical gold around the globe. The London fixing price, conducted at 10:30am and 3pm London time, is the official price at which the world bases its gold contracts and is used by high street dealers and online dealers alike. Many of the major gold trading companies, and large gold dealers, around the world store their gold in secure vaults in London or Zurich. An individual investor does not have access to the London market, for two main reasons. Firstly, the standard size of a gold bar in the market – called a London Good Delivery Bar – is 400 ounces, weighing a little less than 12.5 kilograms. With gold at around $1600 an ounce, the price of one bar would be in the region of $640,000. ERach bar will be stamped confirming its purity (99.5%), and have a serial number and year of manufacture. Secondly, even an individual who had the money and wanted to trade in gold would find the process of registering to trade more than a little cumbersome. There are regulatory issues to overcome, as well as delivery and storage questions. It used to be that trades struck on the London Metal Exchange were settled directly between the two counterparties to the trade. However, now the central clearing house, Clearnet, administers each trade. Providing the details of the trade match between the two parties – size, price, and settlement date – then Clearnet accepts the responsibility to settle the trade as two separate transactions (one buy and one sell) between it and the trade counterparties. Though not able to participate on the London Metal Exchange, individuals can trade in physical gold in a variety of ways. Scrap Gold – Finding scrap gold, old jewellery, rings, bracelets, and the like, is becoming more popular as the price of gold escalates. Using a reputable high street dealer to sell scrap gold can gain good rewards, though it’s always best to remove stones before selling. The dealer will be interested only in the gold content and its melt value, and that will be based upon the purity and weight of the gold he buys. Gold jewellery bought from antique fairs or other individuals can be sold at auction, or to other individuals for profit. Bullion and Coins – More common nowadays is the trading of gold by individuals in bullion bar or coin form, and increasingly such trade is conducted online. Coins will have a value based upon collectability, and be determined by factors such as rarity, history, and condition rather than actual gold content. Building a relationship with local specialist dealers can reap its rewards, though coins can also be bought and sold on the internet. However, using internet auction sites comes with its own caveat: there are plenty of horror stories about investors buying coins in good faith, only to find that they are counterfeit. When the investor returns to complain, the seller has mysteriously disappeared. 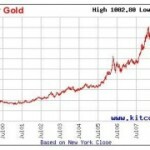 For this reason, those looking to trade gold and speculate on the price of gold tend to concentrate on bullion trading. Many dealers will both buy and sell gold bullion, though prices will be posted around the official gold price to allow for the dealer’s costs of buying and selling, as well as settlement and delivery. Bars come in a variety of sizes to suit all investment pockets, and there are many firms, such as Bullionvault, that offer storage facilities which means gold can be traded more easily without the need for physical delivery with each trade. Many individual traders will buy and hold physical gold for some time, waiting for the price to rise before selling at a profit. The costs associated with trading gold – the discount to the spot price on sales, and the premium to spot price on purchases – combine with storage and delivery fees to make buying and selling many times a day unprofitable for most individuals. However, the volatility of the gold price means that gold trading can be very profitable. 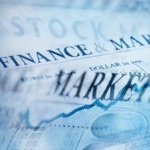 Trading in any financial instrument may incur taxes of one sort or another. For example, dividends paid out on shares will incur income tax. Trading in gold is likely to attract capital gains tax, though investors should check the relevant tax laws in their jurisdiction. So, you’ve decided to sell your gold but you want to make sure that you get the very best price. Here we’re going to give some pointers as to the precautions to take to ensure you don’t get caught, and that you receive top dollar for the gold you are selling. But first, let’s make sure that selling gold is the right move for you. You need the money – Selling assets is a way to raise cash to pay unexpected bills, or debts such as credit cards. If you have jewellery that you never wear, or a gold bar sitting in a safe gathering dust (and value since you purchased it) selling it could be the perfect solution to those short term cash flow problems. And don’t forget, that if you are paying of debt, you’ll be saving the interest on that debt every month. Your item of gold is broken – Perhaps that brooch pin has snapped in half, or the back of an earring is missing. If you have an item that is no longer usable, then selling for the melt value will raise cash to perhaps spend elsewhere, or buy a new item of jewellery, or invest in a gold coin or bar. The value of gold is high – You may have bought your gold some time ago, when the gold price was way below where it is now. Perhaps it’s an investment, and you want to bank some profit. There’s nothing wrong with this. Just like equity investors look to buy low and sell high, an investor in gold will profit from following this mantra. Keeping your gold causes emotional distress – An overlooked reason for selling gold: sometimes that gold ring, or chain, just causes you too much heartache. This is the most dangerous reason to sell, not because it’s wrong to sell, but because the temptation will be to sell as quickly as possible, regardless of price. So, you’ve considered again if selling gold is what you really want to do and you’ve come to the conclusion that it is. The trick now is achieving the very best price possible. Wherever and however you sell gold, here are 6 tips to make sure you pocket the highest amount of cash possible. Know the price of gold – The price of moves up and down, and is fixed on the international markets at the London Gold Market. Before you sell your gold online, or by negotiation at a dealer, make sure you know the price of gold on that day. Not only will you appear better informed, you will be better informed. You’ll know immediately if you are being offered a fair and reasonable price. Know what you have – This is particularly true of jewellery. Different karats have different value. If you have several items of jewellery to sell, don’t let the dealer weigh them as if they all have the same karat value. Know the carat weight, and check the scales – 18k gold is around75% gold, and 14k is about 58%: the higher the percentage of gold the higher the value. If you have a lot of jewellery to sell, then investing in a gold scale could be worth the money. And don’t be shy to ask a dealer to check his scales. If you are selling gold bullion, then make sure you know the purity before negotiating price. Remove gemstones – If you are selling gold jewellery for melt, rather than as the item of jewellery itself, then take out any diamonds or gemstones before you sell it. A gold dealer is unlikely to offer the value of the stones, being concerned only with the gold. Get yourself multiple offers – There is nothing wrong with seeking out the best prices of two or three dealers. In fact, sometime not only will you shake out the best offer, but a competing dealer may bid above a rival once he knows there are better bids than his original bid. Do your research – This is the most important tip of all. Know what it is you are selling. Look up the most recent sale prices of similar items (especially if selling gold coins, or antique jewellery). There are plenty of top-notch, honest dealers in the market, but there are also plenty of unscrupulous ones, too. Just like knowing the price of gold, you should have a good idea of the value of an item of jewellery or coin before even considering a sale. Get Paid – So, you’ve negotiated a great price, now it’s just a question of waiting for your money. If you have sold online, or via a service that requires you to post your gold, don’t get caught by postage. Make a list of the items you post away, and even take photos as a record. Make sure you send your gold by recorded delivery, or even courier, and get it insured. At the time you sell, make sure you are told how long you will have to wait before you receive your money. If you follow these top ten gold selling tips, you’ll be certain that selling gold is the right thing for you in your personal situation, and you’ll get the best price possible at the time of sale. You’ll also make sure that the sold gold isn’t ‘lost in the post’. The value of any product, including financial instruments and investments, is determined by its demand and supply. Some would argue that outside factors, such as war, for example, have an effect on the price of commodities, but this is because of the effect that such news may have on the flow of supply and demand. Demand for gold as measured by the World Gold Council falls into three main categories. First there is jewellery, still the largest sector and using over half of the world’s gold supply. Over the last few years, however, gold demand for investment purposes has been growing, to the point at which it now constitutes about a third of global demand. At a figure of around 12% comes the demand for gold as a product in technology and industry. The demand for gold from consumers has risen in Asia. As the economies of China and India have grown, so too has the spending power of their people. Together with the Middle East, the region accounted for 65% of consumer gold demand through 2011. The demand for gold for jewellery is consistently above half of all gold demand. Whilst such demand is hit by economic downturn – fewer jobs or lower wage settlements mean less money to spend on luxury items – the world’s largest buyer of gold for jewellery is less affected by such concerns. Consumer demand in India is determined by its cultural and religious background, rather than by cost considerations. Though affordability and desirability drive demand for jewellery, particularly in the West, the markets of China and India are likely see growth for some time. Investment into gold has been growing since 2003. The world has been hit by several financial crises during this time, and each has served to highlight the reasons to invest in gold as a store of value and a diversifying factor that helps to insure investment portfolios against risk. There are also many ways to invest in gold, and the growth in instruments such as ETFs and retail sized gold bullion products has helped to make such investments more accessible to the private individual investor. This combination of factors has seen gold increase in acceptability as an investment asset, with the price consequently increasing six fold from 2000 to a peak in 2011. Gold has properties that make it an essential component in the production of many of today’s electronic, medical, dental, and industrial applications. Being highly resistant to corrosion and an exceptional electrical conductor, it is used widely where small conducting or connecting components are required. Gold is widely used in medicine because it is an antibacterial material. It is also used in some cancer treatments, and as a filling material in dentistry. Often overlooked is its importance in the aerospace industry, including space exploration where it is also used as a reflective coating material. If asked about gold supply, and where gold comes from, most people would immediately say mining. In truth, though, this is only half the story. Well, just over half, actually, because the supply of recycled gold has been increasing to meet increasing demand. Mined gold averaged about 2,600 tonnes per year throughout the period from 2005 to 2012. New mines are opened to replace old mines, so real new production has been minimal. Around the world there are hundreds of gold mines, with African and Australian mining, in particular, being large contributors to those countries’ economies. The final process in the production of gold is refining, and so gold refineries are often located near large gold mining areas. However, before getting to the refining stage, a gold producer has to go through a time consuming cycle from exploration and discovery, to mine excavation and removal of the gold. This cycle has an average span of ten years, meaning that gold production cannot just be ‘turned on’ like a tap. This means that the mining of gold is an inelastic industry, and unable to meet surges in demand. When such surges occur, supply is found elsewhere, and is prompted by price. As gold increases in value, the worth of scrap gold – old jewellery etc. – increases. Individuals react strongly to a strong gold price, particularly when the economy is faltering and extra cash required to service debts or even everyday life. The supply of gold from recycling has become a big business with many shops willing to buy gold appearing in almost every town and city in the Western world. This ease of recycling has further increased the supply. Recycling of gold is very elastic, able to increase at a pace not possible from mining of gold, and on a global scale now accounts for over a third of all gold supply. For decades the world relied on currencies being pegged to the dollar by use of the Gold Standard. Governments built up reserves of gold, and used sales to help control individual economies. However, after the gold standard was abandoned, many governments began to sell their gold. In fact, for two decades from the late 1980’s through to 2009, sales by governments increased global gold supply. Since 2009, European central banks have become averse to selling gold, preferring to keep it as the Euro debt crisis comes to a head, and buying of gold by emerging economies has increased. This has combined to mean that central banks are now net buyers of gold rather than net sellers. Just like any commodity, the price of gold moves up and down. In the main, this price action is caused by supply and demand. However, it is by understanding the drivers of this supply and demand that will better select opportunities to buy and sell the yellow metal. Being a natural resource, gold is in finite supply. At some stage, the world will have exhausted its reserves of gold. Before that happens, however, gold mining companies will have mined deeper and harder, at more expense, than previously. They will only be able to do this if the price of gold rises to levels that make such efforts economically viable. So to extract the world’s gold from the world’s crust will require higher prices. Gold is traditionally seen as an ornamental metal, used for the manufacture of jewellery. However, of greater importance is the demand from Central Banks, who buy gold to keep as reserves and underpin a country’s currency or wealth, and from investment house that buy gold on behalf of institutional and private clients. The state of the global economy causes Central Banks and investors to buy or sell gold. 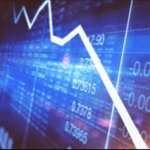 Times of recession and growth present gold investors with reasons to buy or sell gold. Gold tends to rise when inflation is high. This is because real interest rates (interest rates – inflation rate) may be negative. If this is the case, then the value of money depreciates. Gold, because of its very nature as a precious metal and natural resource, is seen as a store of value particularly when inflation is high. When interest rates are high, investors will receive more interest on their cash deposits. In such an environment, equity investors might see companies raise dividends to attract investment. Gold bears no interest. So when interest rates are rise, the price of gold may fall. Interest rates are often increased or decreased in response to wider economic concerns. As the economy grows, general demand for goods picks up and inflation may rise. Whilst this is good news for gold investors, if interest rates rise because of higher inflation then this may dampen the gold price. During a recession, demand for gold generally falls. Fewer people buy jewellery, and industrial use retreats. Demand falls. However, to combat an ailing economy, Central Banks will often decrease interest rates and increase the supply of money (perhaps through exercises such as quantitative easing). Such monetary measures are seen as inflationary, which will increase demand for investment gold as a hedge against inflation. Commodities prices react to the political climate. For example, were the Middle East to erupt into turmoil, or perhaps even war, oil supply lines may be disrupted and the price of oil increase accordingly. It’s a similar story with gold. Political tensions that increase economic worries, or perhaps lead to the fear of war, tend to force the gold price upwards. Gold is seen as a store of value against the fluctuations in currency rates that political problems may promote. This is a major reason why Central Banks own gold as part of their reserves. When you look to assess the price of gold now, and where it may move in the future, the overriding factor will be supply versus demand. However, there are many reasons why the demand for gold will increase and decrease. 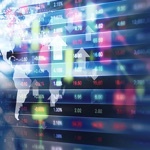 A lot of these reasons are interconnected, and it is possible for a two way pull on the gold price to be caused by, say, a flailing economy (decreasing demand for gold) coupled with falling interest rates (increasing the investment value of gold). Also, because gold is quoted in US dollars, comparative currency strength will impact the price of gold. It is all these factors taken together that drive the price of gold, as well as add in price volatility with investors backing on rising and falling markets. Throughout time, gold has been used for a variety purposes but predominantly as a decorative metal, currency, or an investment asset. It is as the latter two that we usually understand gold to have a monetary value, but perhaps we should consider further ways of establishing the price of gold through history. The oldest examples of gold use are not currency or coins, but rather as items of decorative importance. Even as far back as the Mesopotamians (modern day Iraq and Iran) and ancient Egyptians, the metal was revered for its rarity and beauty, and used in the manufacture of personal jewellery, bracelets, and headwear, that set a[part the haves from the have-nots. Indeed, its perception as something magical, perhaps even spiritual, is evidenced by its use in the pyramids and as an item that would aid the passage to the afterlife. The Egyptians did produce some gold coins – particularly in the period of 2700 BC to 2300 BC – but it wasn’t until around 550 BC that King Croesus of Lydia (now Turkey) minted the first known gold coins in numbers. These coins became the first global standard currency, being accepted in exchange for goods and services. However, the use of gold in a monetary sense remained patchy until the early 19th century. With Britain extending its Empire, it adopted a gold standard to make payment for goods from its dominions more easily calculated and conducted. The success of this led to other countries basing their currencies on gold, but the most important basis was set in 1900 when the United States legislated through Congress for the Dollar to be formally pegged to the value of gold. By the outbreak of World War I, most other leading industrial nations had followed suit. What this meant was that paper money, from any participating country, could be exchanged for a set amount of gold at any time with the central bank that issued the money. This wasn’t just a convenience: it was predicated by economic theory. Currencies were effectively fixed against each other and pegged ultimately against the US Dollar. If trade balances became skewed between nations, the deficit nation was forced to sell enough of its gold to cover the deficit. This would take money out of its economy and force prices down, while the extra gold into the surplus country would expand money supply and push prices up. This would lead to a rebalancing of trade between the two countries. Around 1900, the official gold price was $20.67 per ounce. With UK Sterling pegged against this value, the pound was valued at around $4.90. However, economic policy decisions began to involve interest rates more freely. Rather than buy and sell gold to rebalance supply and demand, interest rates would be adjusted accordingly. For example, the UK might raise interest rates, making Sterling more attractive and sucking in capital, whilst at the same time having a deflationary effect. This situation remained in force for many years, but was largely suspended through the First World War, meaning that the US Dollar floated in value against other currencies whilst remaining pegged to gold. It was the post war period that really set the US Dollar as the strong currency it is seen as today. While other currencies moved sharply as economies recovered, many devaluing sharply against the Dollar, the United States stuck with its gold standard. The UK signed up to the gold standard ion the mid 1920’s, and then abandoned it in 1931 as the world economy reversed into depression. In 1933, President Roosevelt banned US citizens buying, selling, or owning gold, as a precursor to devaluing the dollar on the gold standard in 1934. Gold moved from $20.67, where it had been priced for nearly 50 years, to $35 per ounce overnight. In 1971, with America’s economic standing in the world weakening, President Nixon abandoned the gold standard completely. This allowed the dollar to float freely against other currencies, and meant that legislators in the United States could use policy more freely to more readily steer its economy. The dollar devalued, and the American economy grew rapidly again (a contributory factor in the oil price crisis of 1973/ 4). With the peg against the dollar gone, gold rose rapidly against the dollar. In 1971, gold had been priced at $35 per ounce. By 1973, its value had risen to nearly $200 per ounce. Its peak, however, came in 1980 when it hit a record $850, buying encouraged by the Soviet invasion of Afghanistan, revolution in Iran, and a Cold War that was threatening to fall to freezing point. However, the price of gold fell away from this time as the world became a more stable place and the Cold War ended with the bringing down of the Berlin Wall in 1990. 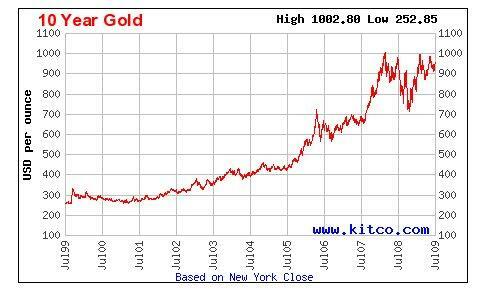 By 2002, gold had fallen to below $300 per ounce. Since this time, however, gold has been in almost constant demand with buying encouraged by one global financial crisis after another. While major equity markets have virtually remained unchanged through this time gold has risen six-fold, hitting a new all-time nominal peak of $1920 in September 2011. Throughout history, gold has had value. It was valued so highly in ancient times that it was used to help transport the spirits of dead Pharaohs into the afterlife. The Mesopotamians first realised its value as a method of exchange for goods and services on a large and standard basis. Britain used gold to ease its international trade and help the growth of its Empire. The United States stayed true to the gold standard and manipulated it to become the economic powerhouse of the world. And now? China is now the world’s largest buyer of gold, and is rapidly increasing in economic importance; some would say it is already the world’s most important economy. History shows us that there is real value in gold, and economies benefit from using gold, and the gold price, to their advantage.